Well, I read, a bit above the draft on the proposition that joins the laws of gravity with dark matter (as it is a subject that interests me), with which I will try to explain it in a simple way … although Surely, I was wrong. As I have always told you when I gave you the sheet on the universe, the fundamental part of everything is to know the geometry of it. To this end, several theories have been created since, indeed, the geometry of our universe is not known. 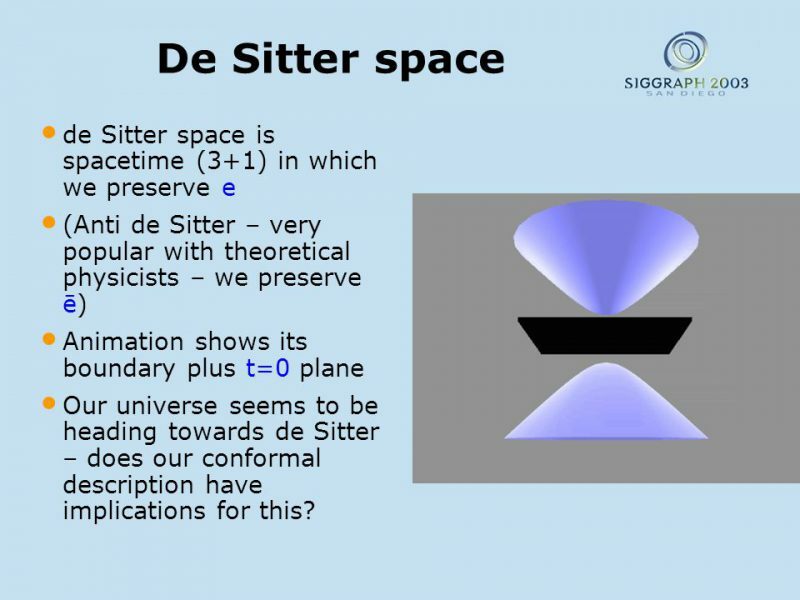 In this draft is used a type of geometry called “geometry of Sitter” or space of Sitter since it tries to join, to join or to see the relation between another aspect that you comment that is the theory of Leonard Susskind and the holographic universe. In this last one indicated that there is a surface that contains the information of what it contains inside that surface and that, thanks to this one, could be calculated the entropy of a system. This surface was called a holographic surface. You can look up when I was talking about it, I think it’s a couple of months ago or something. As I said, the draft uses the geometry of Sitter and the holographic principle to give a new vision to the law of gravity of Newton. In this union of these seemingly unrelated things, gravity itself is explained by the expansion of space, which increases the entropy of the system and can be observed on the surface that includes it. The history of all this and its relation with the dark matter is because the realized calculations of the amount of existent matter are not correct since they have not been calculated the modifications of the gravity due to the expansion according to the geometry of Sitter, Giving rise to that the dark matter itself is but an addition, a constant of said effects. That is, as I have indicated many times we can consider space as a sponge capable of absorbing or having certain effects inside, such as energy. So, as I said, the expansion of the universe is because there is more energy that space is able to have inside “absorbed” and therefore has to expand. Hence we have the same thing with the entropy and the temperature of that space where, there exists a relation between the existing gravitational force and the energy of the zone of the concrete space and, therefore, thermodynamically, of its entropy. Come on, it creates gravity of the entropy and this, it is increasing. In the paper this study is done and you want to prove that, that dark matter and entropy are related and therefore, gravity as well. To do this they make calculations of the different quantum states of space using that geometry (or space). As I said, I have done a quick reading and I may be wrong, if so, I am very sorry.